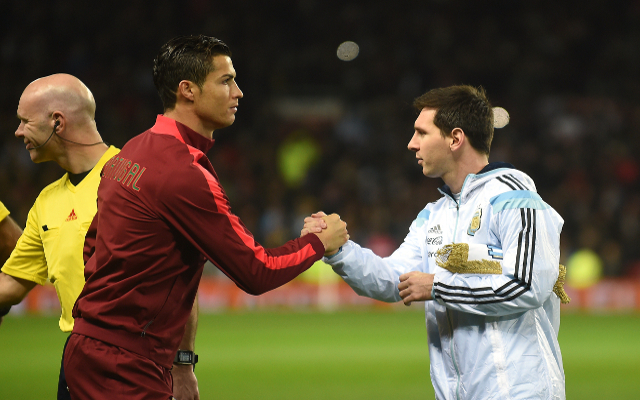 Cristiano Ronaldo, Lionel Messi, Or Manuel Neuer: Who Should Win The Ballon d’Or According to Stats? The Ballon d’Or is awarded on Monday evening, and Cristiano Ronaldo looks like the favourite to win the prize. However, should the Portuguese be the favourite? Here are the statistics behind the three players’ amazing years in the sport. Who do you think should win? With eight goals in the knockout stages of the Champions League in 2014, the 29-year-old became the highest ever scorer in the elimination stages of the competition. He also equaled the most ever hat tricks in La Liga with 22, and scored the most ever goals in the first ten rounds of fixtures in the Spanish top flight with an amazing 17.